Most nuts and bolts are hexagonal, but most wrenches and other tightening tools are not. 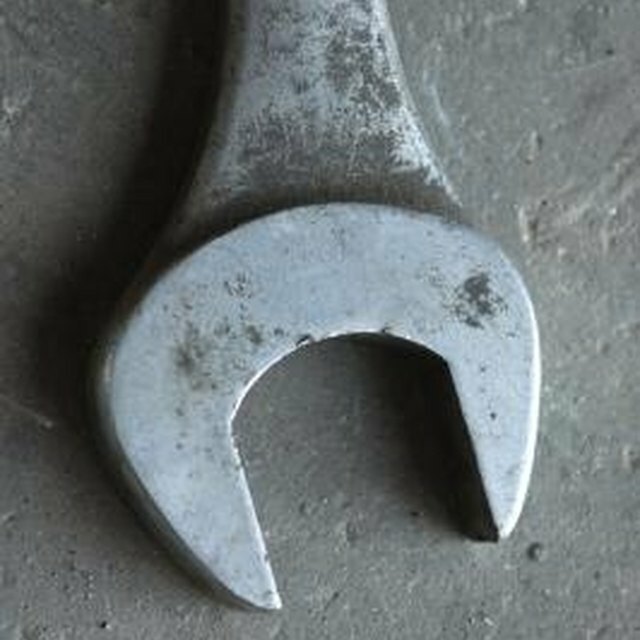 Open-ended wrenches and pliers tend to slip, especially when loosening very tight nuts. The result is that the nut becomes stripped, or rounded. Once this process is started, it usually only gets worse because the wrenches and pliers no longer fit properly and slip more easily. There is a tool, called a vise grip, that makes removing stripped nuts fairly easy. Spray the nut with a lubricant such as WD-40 or Liquid Wrench. A nut most likely becomes stripped because it was stuck around the bolt to begin with. The lubricant will help to loosen the nut. Adjust the vise grip to fit the nut. Use the screw at the base of the handle to fit the grips around the nut and then close the grips. It should take firm pressure to close the grip and make it lock. If it is too loose or too difficult to close, remove the vise grip and readjust. Turn the vise grip to loosen the nut. If necessary, use a "cheater bar" to get more leverage. A cheater bar is a long piece of metal tubing that will fit over the handle of the vise grip, essentially making the handle longer. This allows you to put more torque on the nut with the same amount of force. Continue turning the nut with the vise grip until you think it can be removed by hand. Press the release lever on the vise grip to remove it and finish removing the nut by hand. If you use a cheater bar, make sure it is firmly in place. Otherwise it could slip and cause injury.